Last Sunday I woke up as everyone else did, hearing of a mass shooting at an Orlando night club. That day we had plans to head to the beach right after our son's swim lessons and when we left our house around 9 am we were hearing that 20 people had lost their lives in a horrible, vicious attack. By the time we were on the road to meet our friends about an hour later, we had counted 5 choppers in the air over the scene and my mom was texting me, saying that this was officially the worst mass shooting in US history. I didn't believe her. The Virginia Tech shooting immediately popped in my head and I knew that the number count in that tragedy was more than 20. This couldn't have been the worst in history. No way. I knew it was bad, but not the worst; couldn't be. Not here. Then I started reading reports online and I saw it. The rest of that day was kind of a blur. As we returned home from the beach and put our kids to bed, our televisions were bombarded with reports of the massacre from every.single.angle. It was so unbelievable and overwhelming. I came to Orlando in the fall of 1999 to play volleyball for Rollins College and I never left. 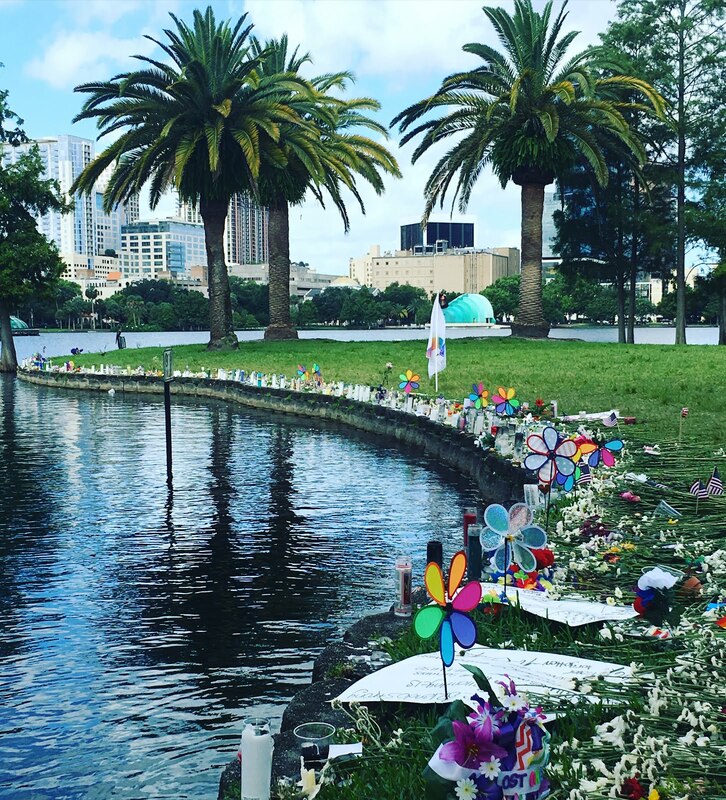 I made my best friends in this city, I got married and went through a divorce in this city, I fell in love with an amazing man in this city, we partied, grew up and lived it up in this city and we had our children in this city; in a hospital that is just a few blocks away from Pulse. 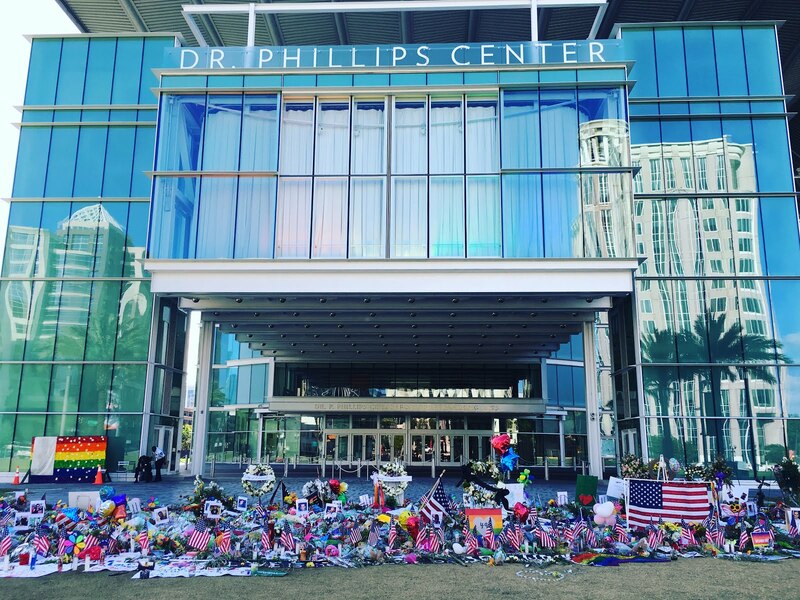 Orlando is not just a tourist destination. It's a place where people live, work and play. It's a place where people raise children. It's a hometown of many, and it's heartbroken. 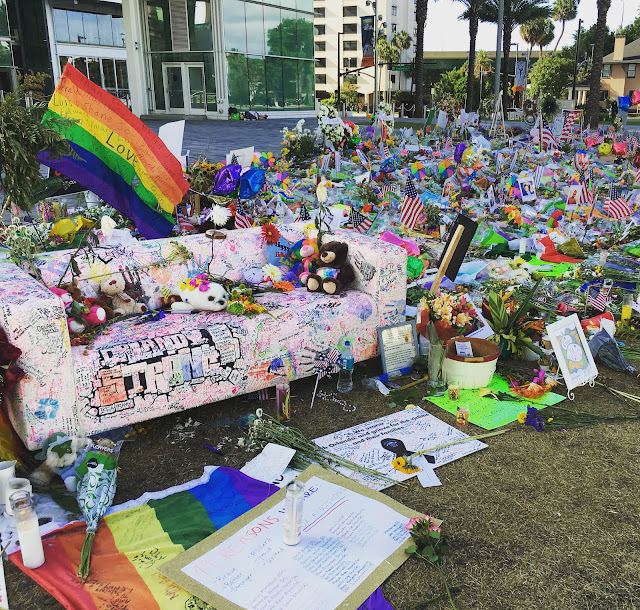 I don't ever want to forget what happened, yet we are all trying to figure out what the new normal is around here. What I can tell you is how proud I am of how this horrific event has been handled by our city. It has been handled with class, dignity and hope. I has been handled with compassion and most importantly, with love. As I ran around Lake Eola and made my way to the Dr. Phillips Center for the Performing Arts this morning, I was blown away by all of the memorials. They are so heartfelt and real. 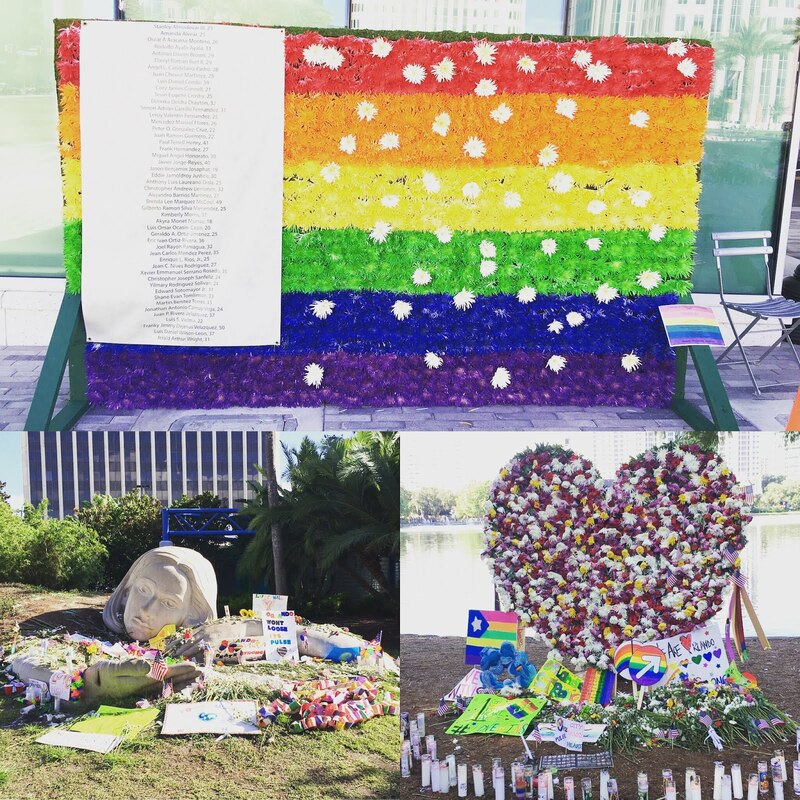 It looked like a sea of tears made out of flowers, kind words, pictures and flags. 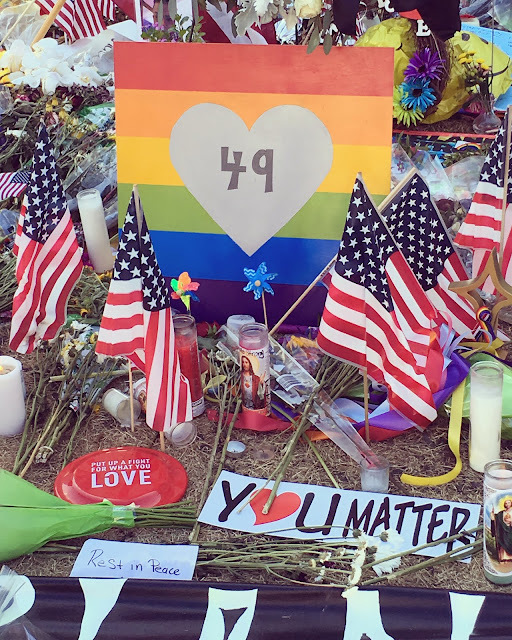 As I held my baby girl, I cried with a man I had never met who was overcome with grief as we stood there watching the flags blow in the breeze. 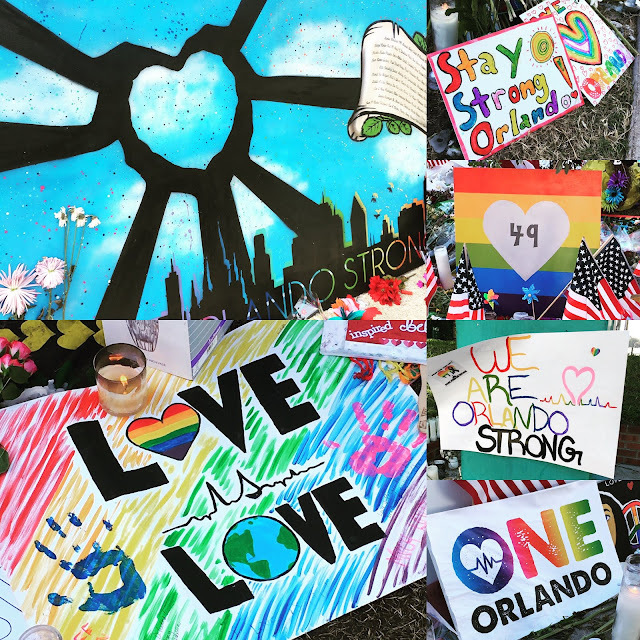 It was a powerful and emotional reminder that Orlando is forever changed; for the better. But what was really amazing to me was all of the candles that are still burning after all of the dust has settled. 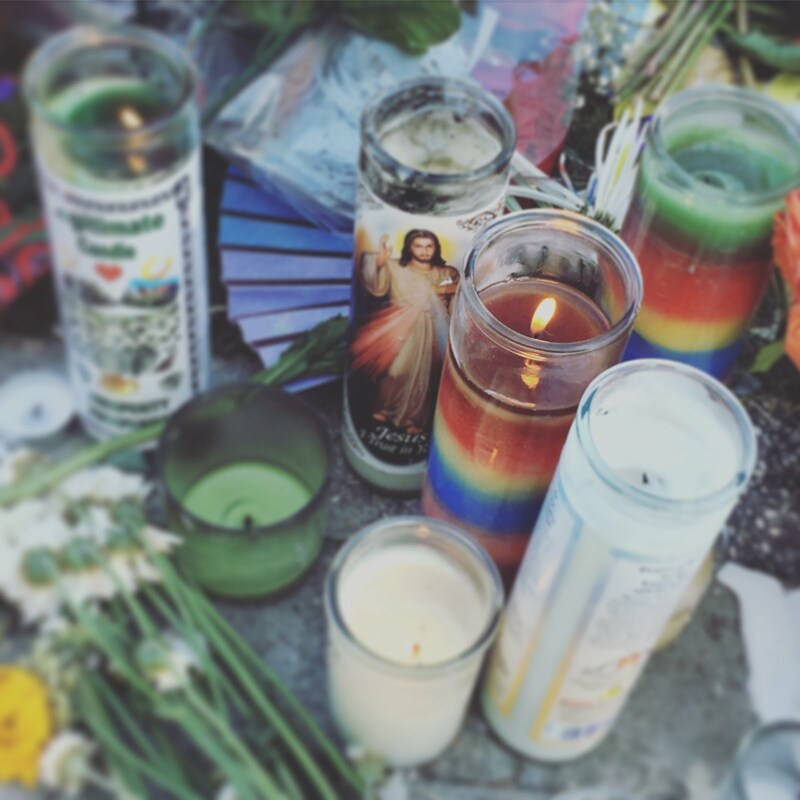 They are still shining brightly, reminding us that love is love is love. May the memories of those lives lost never dim.